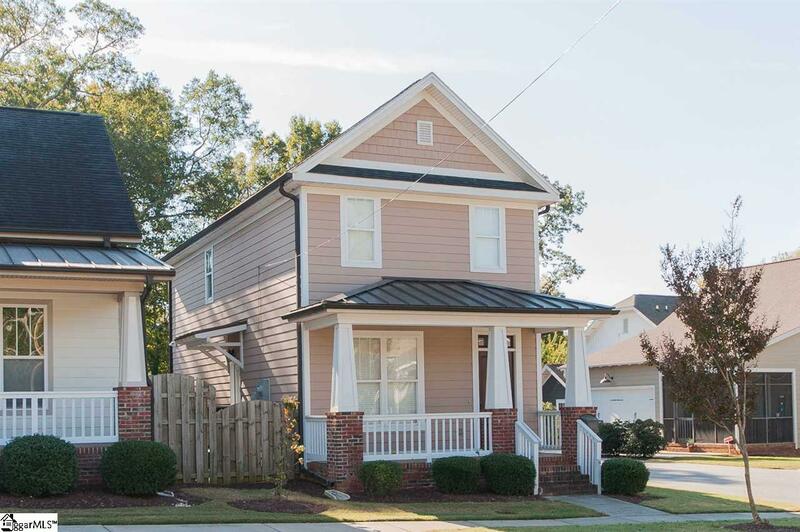 Living is easy in this impressive, spacious craftsman style home in downtown Greenville. This 2 story home features an open floor plan with smooth 9ft ceilings and a beautiful bay window in the dining area, giving ample natural light to the home. Downstairs bedroom has attached full bath. 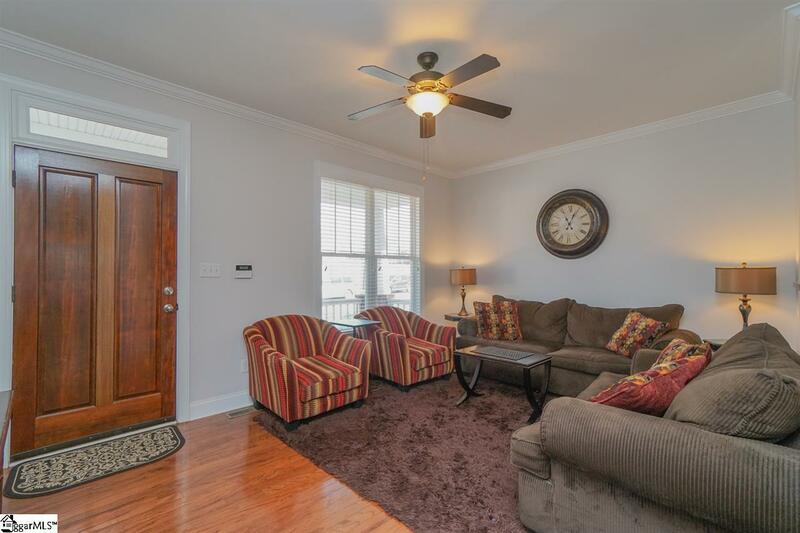 Upstairs you'll find another full bath and two bright, spacious bedrooms. Other interior features include plentiful closet space (two closets per bedroom!) and separate laundry. Neighborhood amenities include picturesque tree-lined streets, a common green space, perfectly manicured landscaping, and smooth sidewalks - great for walking downtown! 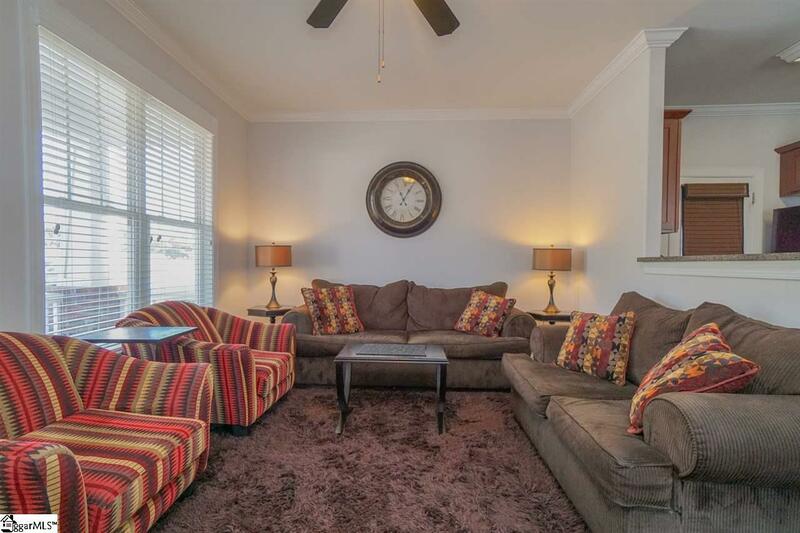 Only a 4 minute drive to Hampton Station and 2 minutes to WestOne. 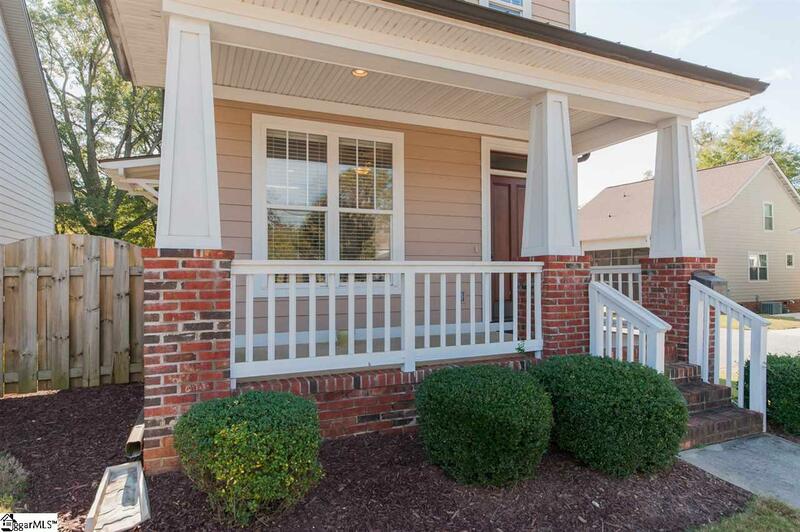 Perfect for anyone, this home is ideally positioned to enjoy downtown Greenville living with easy access to the interstate.